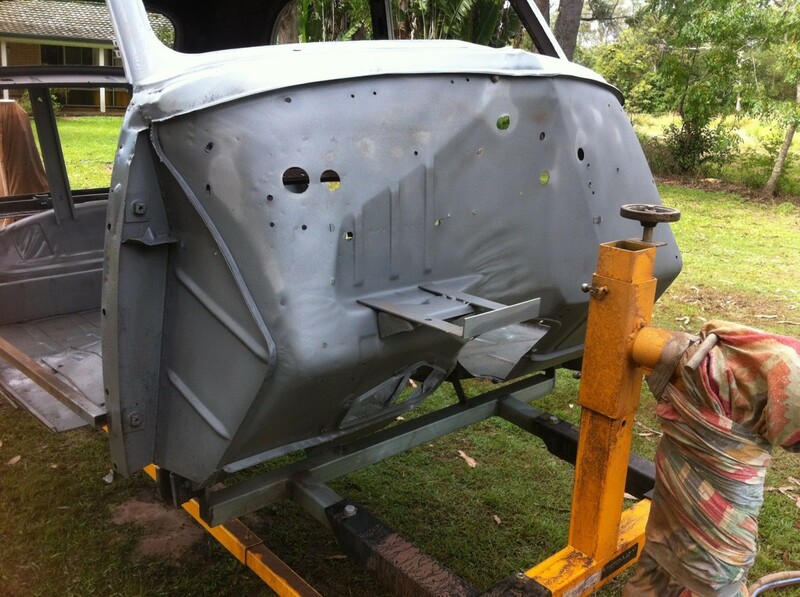 Today Enviroprep made their way over to BareMetal Restorations in Palmwood’s on the Sunshine Coast to do some Automotive Restoration for Brendan. 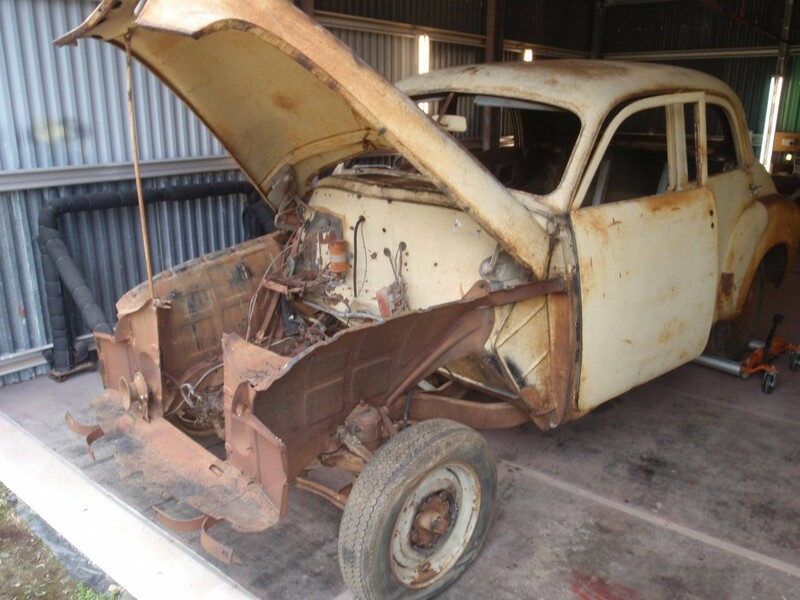 Brendan had an old 1950’s 48-215 Holden Humpy also known as the FX. Brendan had it completely stripped back and wanted blasted back to bare metal. The old girl had seen better days. With a bit of rust throughout it was amazing that it hadn’t taken hold as bad as some cars of this age have. Starting underneath we gave it a quick going over as requested then moved inside. 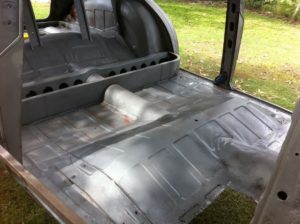 The chassis and a couple of panels were tackled last of all. The car was pretty simple as it was on a rotisserie making the process much quicker to blast. Using an 80 grit Garnet media the old girl came up sparkling ready for its new lick of paint. The chassis was a lot heavier with rust and had some obvious signs where the rust took hold..
She came up pretty good in the end and Brendan was pretty happy as well. 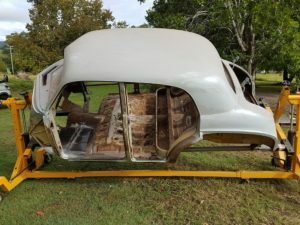 After approximately 4 to 5 hours of blasting the car was at the point where she just needed to be dried out and cleaned out from the media and then she was ready to go for her new paint job. Just remember when it comes to blasting the inside of cars and such the media can get into all those places where you just don’t want media. 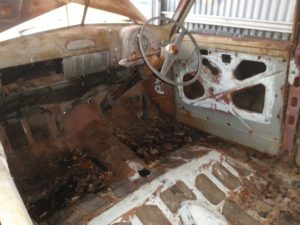 Sometimes its better to just open up all those door frames so we can get in and give it a real good wash otherwise you will be blowing media out months later. 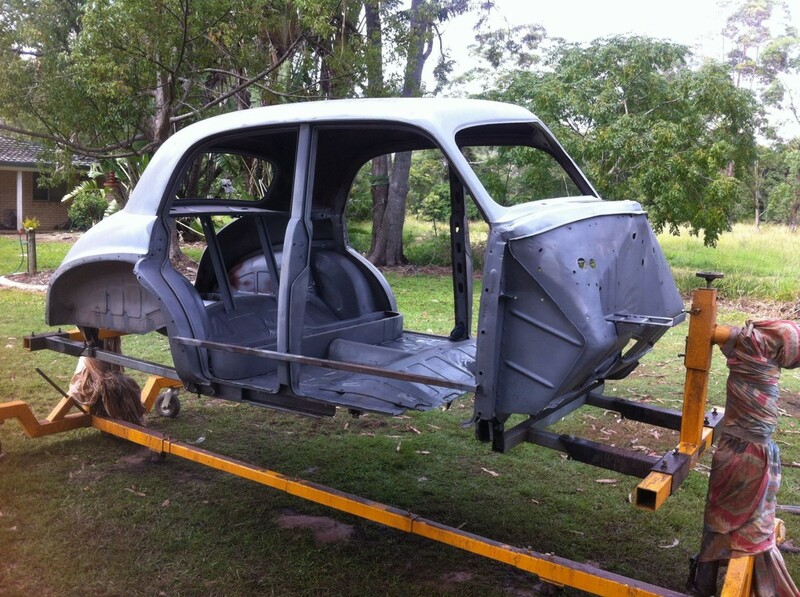 If your’e looking for some automotive restoration in Brisbane or on the Sunshine Coast then give us a call on 0477066138. 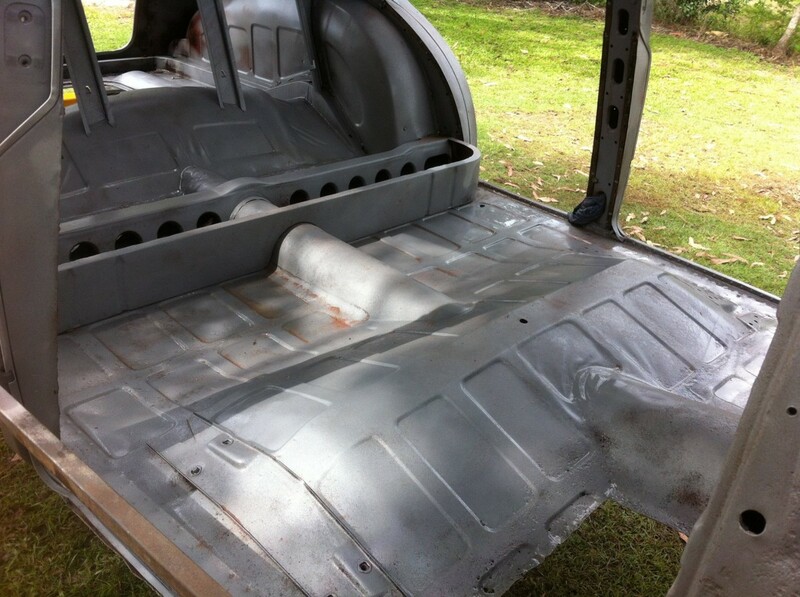 Enviroprep is a mobile dustless blasting company that comes to you. All we know is Media Blasting. We live it, breath it, preach it and love it. It’s a process that can put the breath of life back into those much loved cars that are sitting in your back yard waiting for a bit of tender loving care.